Lumen Strategies, LLC, a consulting firm led by Kathryn Robinson, focuses on illuminating the opportunities for innovation as a means to accelerate growth and value for her clients’ businesses. 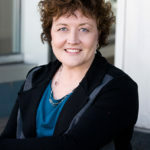 Kathryn works with senior business and/or functional leaders, providing consulting and advisory services for identification, development and implementation of innovative strategies. Kathryn Robinson, CEO of Lumen Strategies, founded the company in 2011 when she elected to leave her career in senior leadership positions in high tech to pursue her lifetime dream of establishing her consulting firm. She actually had academic background in finance and accounting, but quickly realized that for her business to thrive, she needed to focus on the work she was so passionate about – not worrying about her books. She had started the business using QuickBooks and found the tool cumbersome and overly complex for the type of business she was running. She loathed the time spent on the bookkeeping as it kept her from doing the research and work she loved. Gina Scott was just building her own business when Kathryn was introduced to her. Gina took the time to understand Kathryn’s business and to assess the challenges and frustrations with maintaining her books. Gina, astute in a variety of tools including QuickBooks, recommended that Lumen Strategies utilize Xero, a cloud based platform that fit more into the style and pace of Kathryn’s work and allowed a collaboration foundation in which Gina could easily review Kathryn’s transactions, make corrections in real time, and set up and recommend workflow that more easily fit Kathryn’s requirements. Kathryn gained back critical time cycles she had previously lost to “wrestling with QuickBooks,” as she described it. She was able to return those precious cycles to the things she loved – going above and beyond to research a market or the competition for her clients, spending extra time empowering a client, and working on her writing.